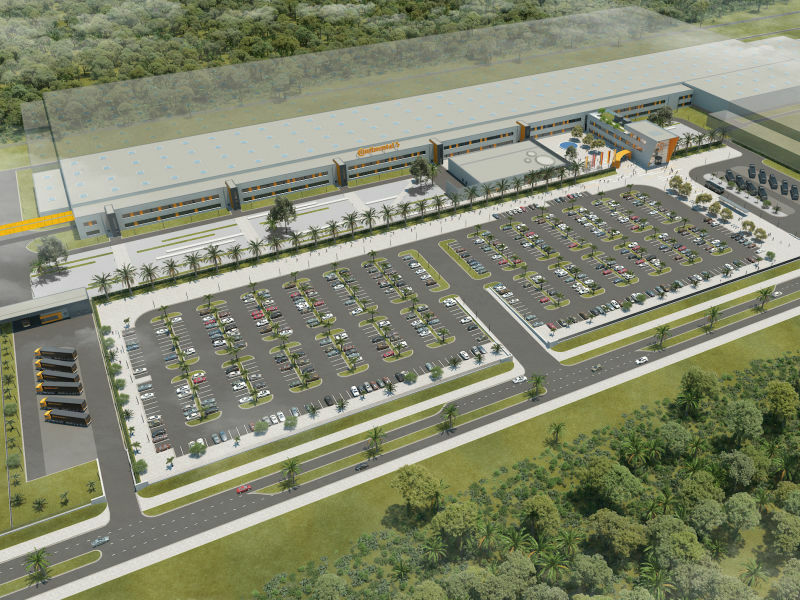 Continental opens new Greenfield tire plant in Rayong province, Thailand. With almost 250 mln Eur investments in first phase, Greenfield plant will play important role in Continental’s long term growth strategy. The start of operations is planned for 2019 with a planned production of 4 million passenger and light truck tires per year by 2022. 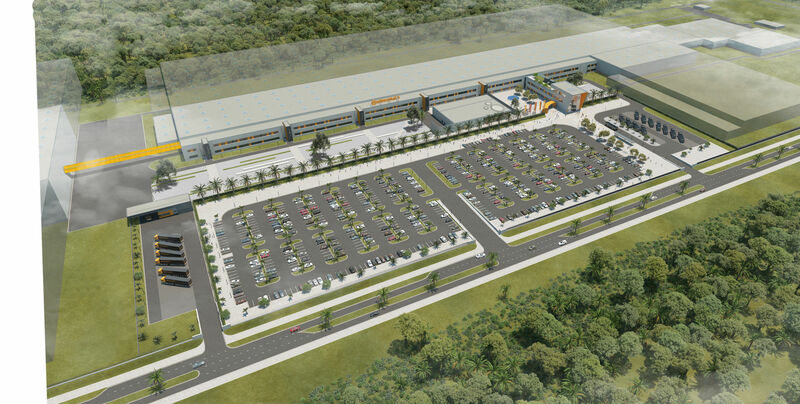 Size of the site is 750 000 m2 which allows a potential expansion up to 25 million tires capacity per year. Projects of such size are always demanding. 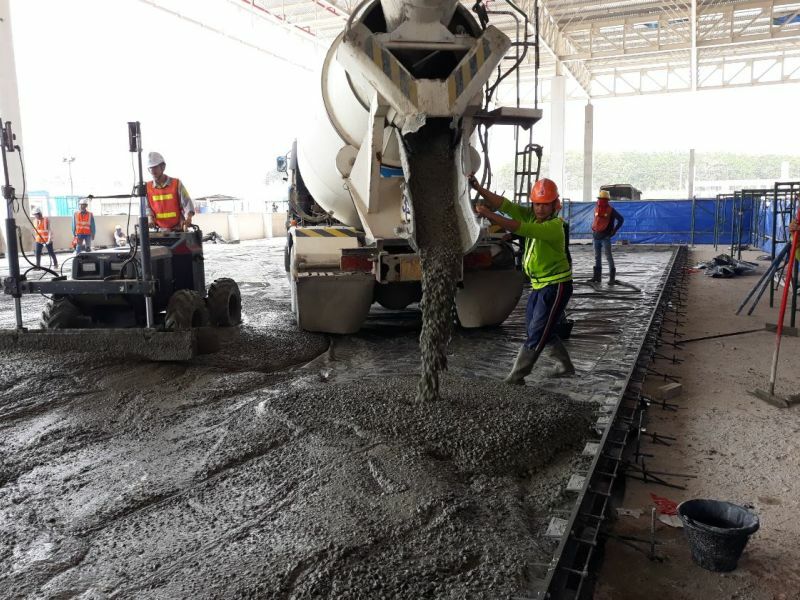 Loading conditions, heavy fork lift traffic inside, weak soil in some areas and, in addition, tight schedule required special approach for design and construction of floor. It was decided to use big bay construction method and apply steel fiber reinforced concrete technology (SFRC) for the project. SFRC allows to eliminate saw cuts and ease the construction. For the bay joints Peikko TERAJOINT® prefabricated free movement joints were used. Bay joints are one of the most sensitive part of the floor. They are part of load transfer mechanism from slab to slab as well as playing important role in cracking control. 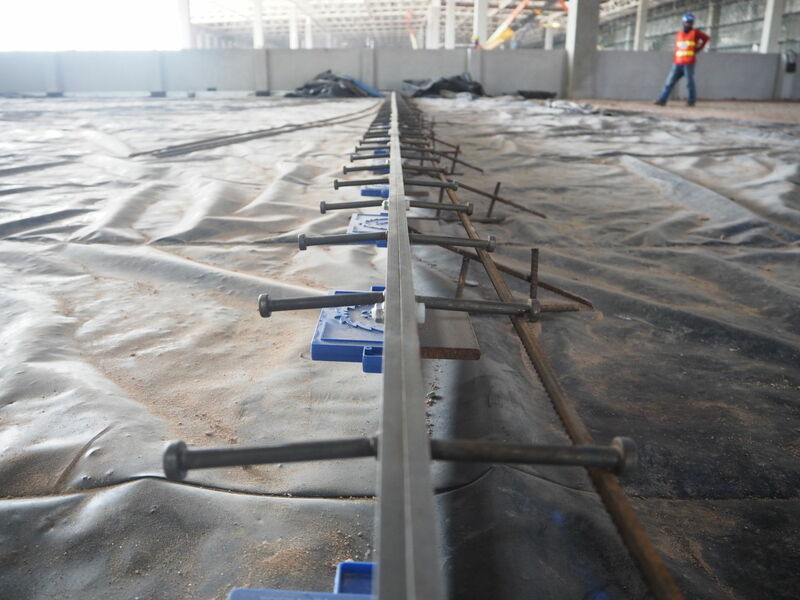 Another important feature of joints is arris protection of slabs. Unprotected slab corners are going to be damaged by fork lift traffic already in several month. Peikko TERAJOINT® top strips are prefabricated from special cold drawn steel profiles, which provides durable protection to slab arrises, making it ideal for floors in a heavy-duty traffic environment. Peikko delivered TERAJOINT® with 8mm dowels load transfer mechanism for ground bearing part of the floor area and with 12 mm dowels load transfer mechanism for pile supported part of the floor area. 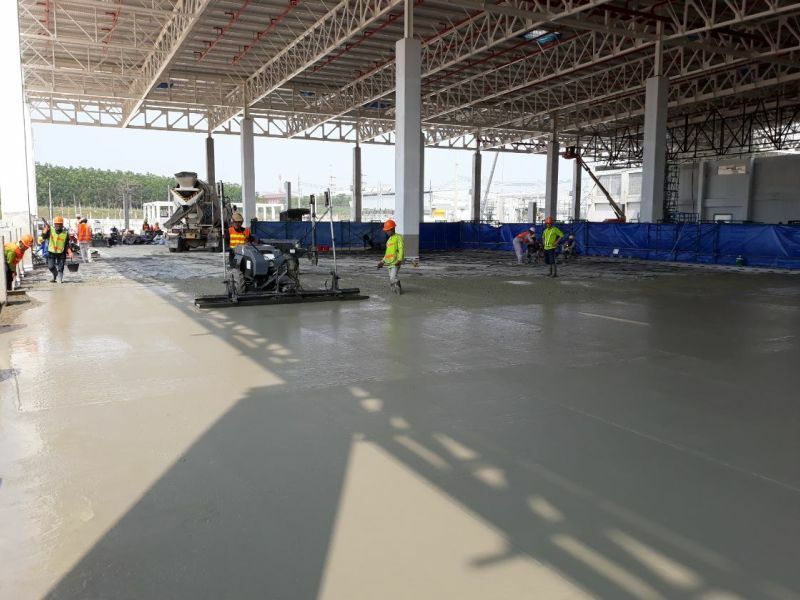 Total over 4 km of TERAJOINT® were delivered to this project. 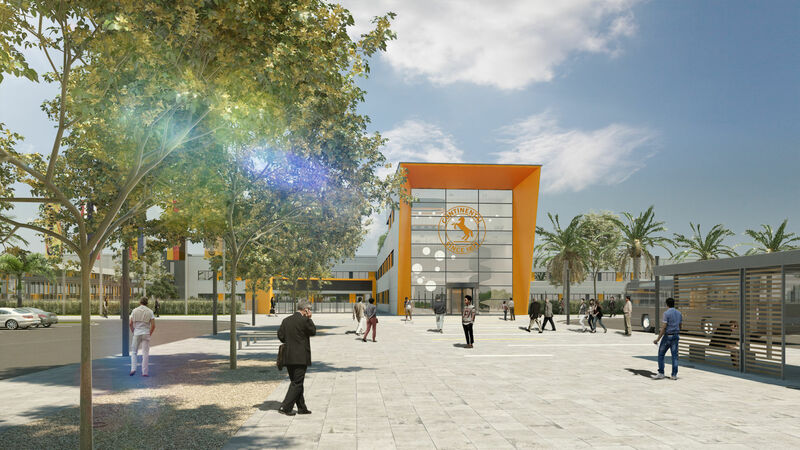 We were happy to cooperate with Civil Master Solutions Co., Ltd on this project. Civil Master completed big work on project since very beginning including on-site supervision and support. It is not a first time Peikko delivers flooring products to Continental projects. Year earlier Peikko delivered TERAJOINT® and special SSJ (sinus sliding joints) for Continental factory in Hefei China as well as delivered to Continental Askim in Norway. We are proud to be chosen for Continental project again and looking forward for future cooperation. TERAJOINT® is a prefabricated leave-in-place joint system designed to build formed free-movement joints, consisting of heavy-duty arris armoring, permanent formwork and a load transfer system. It is suitable for all large-area construction methods for ground-bearing and pile-supported concrete floors. 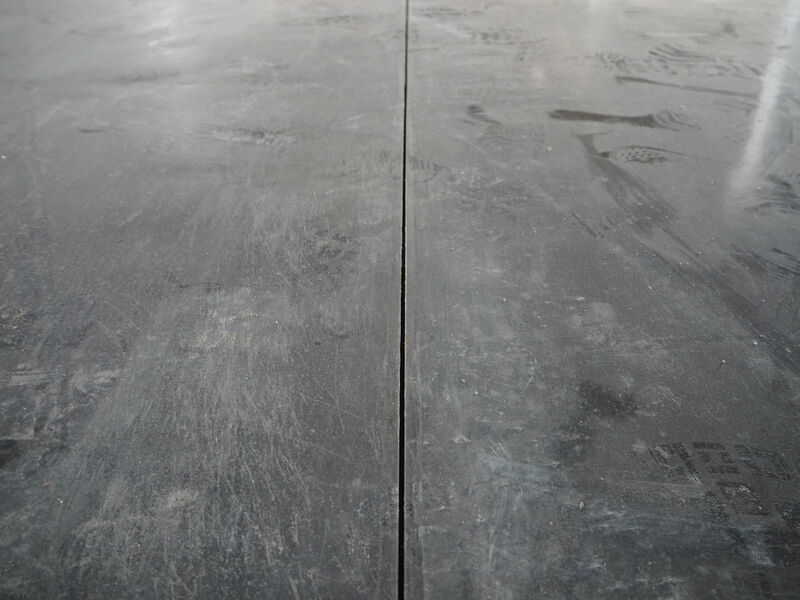 The cold drawn steel rails provide durable protection of the slab arrises, making it ideal for floors in heavy duty traffic environment.